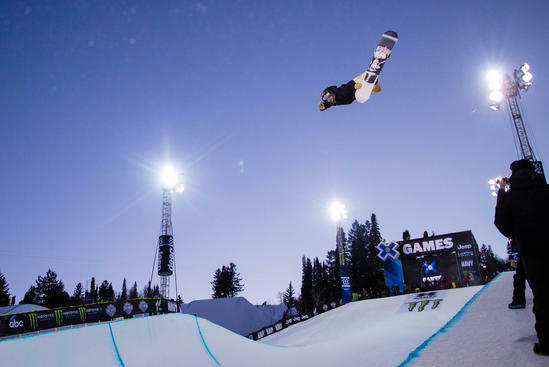 X Games Aspen officially gets underway on Thursday morning at Buttermilk in Aspen, Colorado. Athletes from all over the world have converged on Aspen for the world-renowned competition, and Aspen is buzzing as athletes, fans, locals and visitors prepare for action. Diehard fans of who made the pilgrimage to Aspen are roaming our cobblestone downtown streets looking for free swag and autographs. And, locals are eagerly awaiting the inevitable “X Games Storm” that almost always roll through Aspen during the competition. 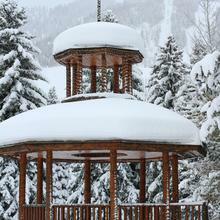 Have you traveled to Aspen for X Games? Here’s a local guide to getting the most out of X Games Aspen. This year's snow storms around Aspen pre X Games have covered Aspen’s quartet of mountains—Aspen Mountain, Aspen Highlands, Snowmass, and Buttermilk—in fresh snow. One key to doing X Games like a local is to either refrain from late-night shenanigans or rally in the morning after raging, because the skiing and riding is flawless right now, and more snow is in the forecast. You’d be remiss to skip out on a powder day during your X Games trip to Aspen, Colorado. While you can still ski at Buttermilk, the bottom part of Buttermilk is closed off and there is limited terrain. The Panda Peak Lift will be closed however, if you're looking for beginner terrain Summit Express will be open at the top and give you access to beginner runs. West Buttermilk will remain open as well. Ajax, Highlands, and Snowmass are your best bets for powder skiing and riding during X Games because you won’t wait in lift lines and there are plenty of nooks and crannies to search for untouched powder stashes. 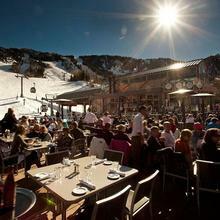 Want to ski Aspen Snowmass like a local? Head to “The Dumps” on Ajax for steep trees and glades. Highland Bowl at Aspen Highlands offers the best inbounds, big-mountain terrain in North America. The bootpack up Highland Bowl is worth the effort! Find the “G Zones” off the summit or cut the hike short and drop in at “Fun Deck.” And if you venture past the roundabout and head to Snowmass look for “Sheer Bliss,” “Long Shot,” and “Sneaky’s” for long runs sans crowds. All X Games competitions take place at Buttermilk Mountain. Roaring Fork Transportation Authority (RFTA) offers FREE transportation throughout Aspen, including to and from the X Games action. Be sure to take advantage of the RFTA’s FREE transportation because you’ll never find parking at Buttermilk. Buttermilk will have no on-site available parking. It is recommended to park at the Brush Creek intercept lot, located at the intersection of Brush Creek Road, from there you can take complimentary shuttles to X Games. 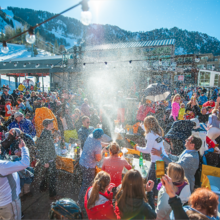 Paid parking is also available in Downtown Aspen and Snowmass Village with event shuttles departing from Ruby Park and Snowmass Village Mall. Click here for the full shuttle schedule. Ride Share & Taxis are also available but you must get dropped off across from Buttermilk Mountain at 50 Harmony Road. 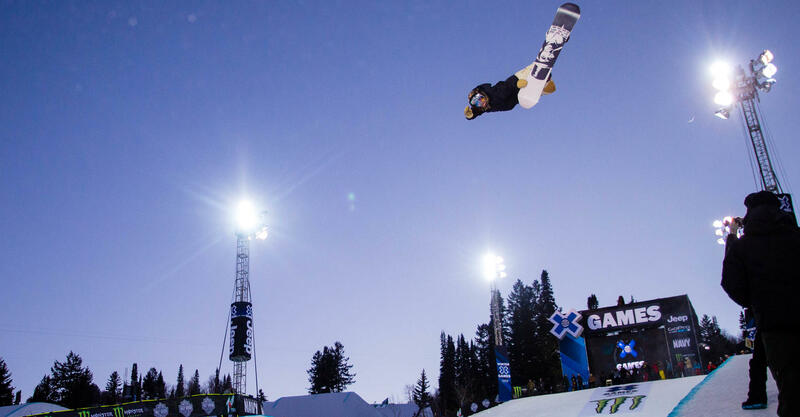 Some of the best skiing and snowboarding at X Games takes place during practice sessions. Check out the SuperPipe while snowmobilers are competing, head over to the Snowmobile track during Slopestyle, and soak in the Big Air training during downtime. Find a full 2019 X-Games schedule here.